Talk about birth announcements: Facebook CEO Mark Zuckerberg and his wife say they'll devote nearly all their wealth - roughly $45 billion - to solving the world's problems. It is in celebration of their new baby daughter, Max. 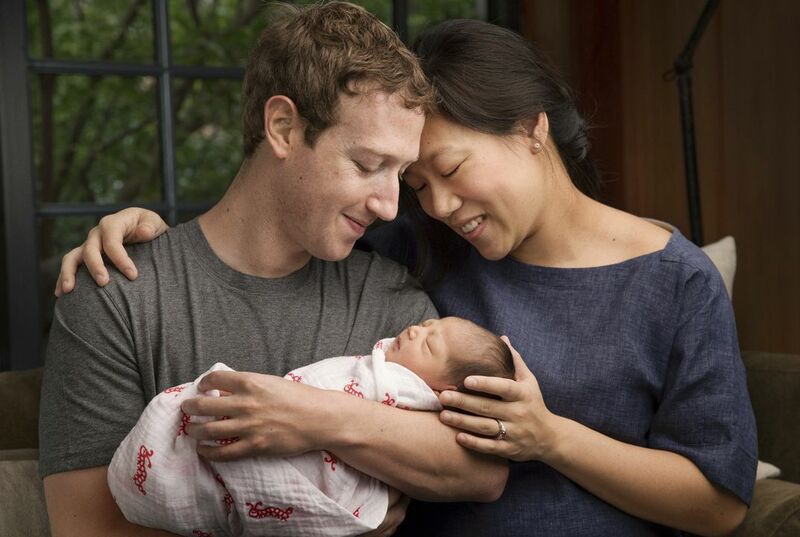 Zuckerberg's wife, Priscilla Chan, gave birth to a 7-pound, 8-ounce daughter in November. But the couple didn't put out the news until Dec. 1. Zuckerberg posted it on Facebook, of course. In the same post, Zuckerberg said he and Chan will, over time, commit 99 percent of their Facebook stockholdings to such causes as fighting disease, improving education and "building strong communities." The couple had previously pledged to give away at least half their assets during their lifetime. But they had not provided specifics. They are forming a new organization, called the Chan Zuckerberg Initiative. It will pursue those goals through a combination of charitable donations, private investment and promotion of government-policy reform. "Like all parents, we want you to grow up in a world better than ours today," the 31-year-old social media mogul and his wife wrote in a letter to their daughter. They also posted it on Facebook. The announcement stunned the charity world. "It's incredibly impressive and an enormous commitment that really eclipses anything that we've seen in terms of size," said Phil Buchanan. He is president of the nonprofit Center for Effective Philanthropy. By comparison, the Bill and Melinda Gates Foundation has an endowment of just over $41 billion. It includes wealth donated by the Microsoft founder and his friend, the businessman Warren Buffett. The Zuckerberg initiative will be organized as a limited liability company, however, rather than as a nonprofit foundation. "They want the most flexibility and they are going to use a wide variety of activities to achieve their mission," Rachael Horwitz, a Facebook spokeswoman, said via email. "So in that way this is not a foundation nor is it entirely charitable." The notion of investing money in companies that tackle social issues isn't new. But it has gained more currency among a younger generation of philanthropists, particularly in the tech world. Zuckerberg has also shown a previous interest in influencing public policy. He led other prominent Silicon Valley figures in forming a group, FWD.us, that lobbied and gave donations to congressional candidates in an unsuccessful effort to promote immigration reforms. Depending on how much of the new effort is devoted to lobbying, it could raise new questions about the influence of money in today's politics, some experts said. In the letter to their daughter, Zuckerberg and Chan described their goals as "advancing human potential and promoting equality." They added: "We must make long term investments over 25, 50 or even 100 years. The greatest challenges require very long time horizons and cannot be solved by short term thinking." While Zuckerberg promised to release more details in the future, he said the couple will transfer most of their wealth to the initiative "during our lives." The couple will be in charge of the initiative. But Zuckerberg won't quit his day job. "I have a full time job running Facebook," he told The Associated Press in an interview in November. At that time, he discussed the couple's approach to philanthropy. Of his job at the social network, he added, "I'm going to be doing this for long time." The Facebook co-founder is one of the world's wealthiest men. He and Chan, a 30-year-old pediatrician, have donated $100 million to public schools in Newark, New Jersey. They have pledged $120 million to schools in poor communities of the San Francisco Bay Area. They've also given $75 million to the Zuckerberg San Francisco General Hospital. That's where Chan did her medical training. In a statement, Facebook said the couple's plan to transfer their shares over time won't affect his status as controlling shareholder of the company. The company said Zuckerberg has committed to dispose of no more than $1 billion of Facebook stock every year for the next three years. Zuckerberg and Chan had announced on Facebook last July that they were expecting a daughter. "Mom and baby are both healthy and doing well," Horwitz added. 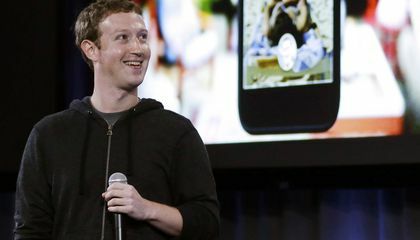 Zuckerberg has said he plans to take two months of paternity leave. Why is Mark Zuckerberg giving away so much money? Mark Zuckerberg is give away so much money because they want kids to grow up better than they did. Beacause he is rich and he his a good person to people that dont have that much money. To build communities fight diseases and to make the world a better place. So he can make kids better to grow up then they did and to celebrate there new baby they just had. He wants his daughter to grow up in a better world that we are growing up in now. He gave all that money because he wants his daughter to grow up in a world better then ares world is today. I think this article is about persuading other parents to invest more in their kids to make sure they succeed and progress in life. I agree that it would be a good idea to set a investment for the future generation that way future family members may further succeed and surpass past family members. This article is very interesting. I think this because the authors purpose is to do good for someone else even know you may not get anything in return. It is the right thing to do. You should always be nice and not expect anything in return from doing somebody a favor. That is very appreciative of him to do that he is one very kind and nice guy. To ever donate that much money u would have to be one nice person thank you Mark Zuckerberg.